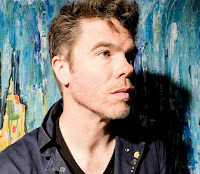 Singer-songwriter Josh Ritter will release his eighth studio album on October 16 titled Sermon on the Rocks and he has just announced a new run of winter tour dates in early 2016 in support of it. Ritter will play the Carolina Theatre in Durham on Thursday, February 25. Every ticket purchased will include a download of Ritter's new album. Tickets will go on sale at 10 a.m. on Friday, September 25, via Ticketmaster and the venue box office for $29 to $63.73. The venue pre-sale will begin at 10 a.m. today, September 23, with the code SERMON. Check out the song "Where the Night Goes" from Sermon on the Rocks below.